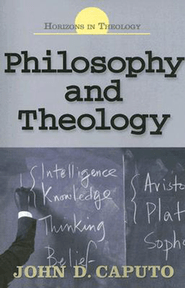 A few days ago, I finished reading Philosophy and Theology by John Caputo. It is a short, witty, thought-provoking and challenging book. The most important word in the title is the word and. I also read this same book last month (December 2012). I understood quite a bit more on the second reading. If I were to let it sit for a while and then read it a third time, I would gain even more. Good survey of the history of interaction between philosophers and theologians, sometimes friends, sometimes foes. I don’t read every book twice. Some I read a book 4 or 5 times. And some more than that. Throwing out these kinds of comments might discourage the person who is already overwhelmed with a stack of books that have not been read even once. I know that to be true, because I am that overwhelmed person. Right over there, see in the other room, there is a stack of unread books. And there’s another pile of books beside it, and another smaller stack on the floor, and a few still in the sack from when I brought them home. And that box there, you ask? More unread books. I don’t reread every book. I may read it once and then scan back through parts of it. Often, I depend upon my recollections of the book. Or I might read another book on the same subject. But some books call for or demand a re-reading. Sometimes the book needs another reading because of the material. In the case of Philosophy and Theology, I simply didn’t pick up enough on the discussion the first time. My training in philosophy is woefully lacking, and I only know enough about theology to have a vague sense of how little I know. I assume that the heavier books on theology, philosophy, literary criticism, and historical analyses will need a second reading. Often a book calls for a second reading not because of the depth of the material, but because of the shallowness of the reader–me. Some of the most practical books on Christian living slide right across my brain without ever sinking in and touching my heart sufficiently. Last fall, I read The Hole in Our Holiness by Kevin DeYoung. Being a short and simple book, it didn’t take long to whip through it. A week or two of morning coffee and that book in hand was time enough. When I got to the last page, I knew I needed to go back to the beginning. So I re-read it. And starting it again would not do me no hurt. I am blessed in that I teach a Humanities class where I am forced to re-read great books. Occasionally, I will take some shortcuts and scan the book, read the underlinings or markings, and read a few helps. Usually, however, I plod through the book just like my students. The difference is that I am often reading the book for the third, fourth, or fifth time. (The Humanities program takes four years to work through.) In recent months, I re-read Beowulf. On works like this, I allow myself to read different translations. This year it was Seamus Heaney’s remarkable rendition. Great literature unfolds in the subsequent readings. Especially when time and life experiences change our perspectives, we continually can find more and more in epic poems and great novels. My Humanities class followed Beowulf with Augustine’s City of God. I must admit that we don’t attempt the whole work; rather, we use a scaled down, abridged version that is merely 600 pages long. And this year, we only read about half of that short version. The reason: On this reading (the fourth for me? ), I got bogged down–in a good way. I covered portions of the book in more detail, had the students copy quotes, and delved into the meaning a lot more. It would have consumed the school year if I had continued. Poor kids–graduating from high school with only 300 pages of Augustine’s City of God under their belts. Sometimes, a subsequent reading will not go from beginning to end; sometimes, it will begin halfway through the book. After Augustine, I read again from portions of Justo Gonzalez’s The Story of Christianity and Eusebius’ Church History. Next came a short work–The Rule of St. Benedict. 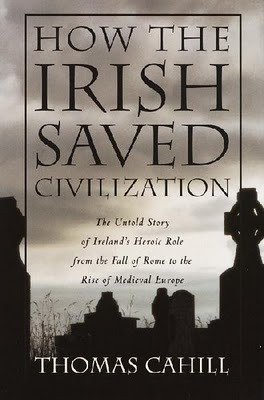 And now, I am enjoying my fourth time to teach through and read Thomas Cahill’s How the Irish Saved Civilization. These books just keep getting better and better. I try to do some extra reading and new readings on the side. The more ingredients in the soup, the better the flavor. So what are the secrets, the hints and helps to reading and rereading? 1. When you read a book, as much as is humanly possible, plow, tread, even race on through to the end. Quite often, rather than slowing down, speed up. If you are totally lost, totally out of your league, or defeated by the book, maybe it is not the book for you or the time for you to read that book. 2. Glance at some short reviews and summaries. One summer, years ago, I was reading Dostoevsky’s The Idiot at night. When I would get to work, I would look on-line for explanations of what I had read. My usual reaction was “Okay, now it makes sense.” Of course, a class of students or a teacher can serve the same function. 3. At least re-read the beginning of a book after the first reading. As Gordon Clark notes in his book Logic, you will understand the first chapter a lot more after you read the last chapter. That is true of many books. 4. It is often helpful to finish a book and then let the book simmer in your mind for a time before reading it again. 5. Remember that no great literature is ever read: It is only re-read. Listen to the language, look for style, discern the meanings, and watch the plot development on the subsequent readings of literature. Strangely enough, the more I read a book, the slower I get. I can get through a Faulkner work at a decent pace the first time. In the later readings, I am connecting the themes, the flow of the language, and multi-layered plots and characters. 6. Be selective about what you re-read. Not every book needs a second reading. Or it may not need that second reading for many years. 7. Either mark your book or make notes to enhance a second reading or to give you the chance to do a quick trip back through the book. 8. Carefully read How to Read a Book by Mortimer Adler and Charles Van Doren and How to Read Slowly by James Sire and An Experiment in Criticism by C. S. Lewis. The opening chapters are gold. The original book by Adler is better, I am told, than the current one by Adler and Van Doren. A good study that will significantly slow you down and deepen your reading experiences. How Big Was G. K. Chesterton? I discovered Chesterton too late. It has been over the past ten years that I started reading seriously from G. K. Chesterton’s works and I will never get to where I should be. Education, as my friend George Grant often says, begins with repentance. I am truly sorry that I did not start reading Chesterton while in college, or just right out of college. Truth is, I hardly knew who he was. Even with having a minor in English and having taken at least three classes in English literature, I could not have identified Chesterton. Could not have picked him out of a line-up with Hillaire Belloc, John Cardinal Newman, Thomas Carlyle, and Arthur Quiller-Couch. Walked off a stage with a degree, but did not have an education. How big was Chesterton? Are you thinking of spatial occupation? He was 6 feet, 4 inches and topped the scales at 300 pounds. Did his weight slow him down? I hope so, or else no else would ever have written a book. He was a mammoth of a man and writer. 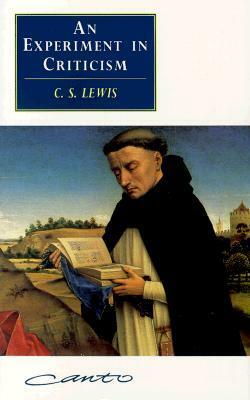 Concerning his reading of Chesterton, Lewis wrote, “I read Chesterton’s Everlasting Man and for the first time saw the whole Christian outline of history set out in a form that seemed to me to make sense. ” God used that author’s book to set the course for many other fine books. Chesterton’s books Orthodoxy, Heretics, and The Everlasting Man are all great reads. Witty, profound, bold, and on we could go with the praises. He was a superb stylist, a profound wordsmith, a clever tweaker of phrases, a surgically evasive critic, and a bombastic apologist. And, Chesterton wrote fiction. He created a wonderful character, Father Brown, a Christian, a priest, who uses theological insights to figure out crimes. The Father Brown stories give the remarkable Sherlock Holmes stories a run (and I discovered Holmes a few years after graduating). Chesterton also wrote biographies and literary criticism. These works still beckon me. Some of the best Chesterton works are now being published by Ignatius Press, a Catholic publisher. They have good claim on the man since he joined their hearty band of followers. But Chesterton was big, too big even for the Catholic Church. Kevin Belmonte has done some useful service for the Kingdom in writing and assembling some very good introductory materials on G. K. Chesterton. These books are all published by Thomas Nelson. 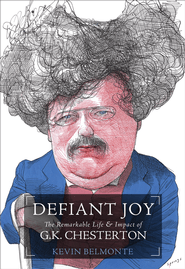 First, there is a good biography titled Defiant Joy: The Remarkable Life and Impact of G. K. Chesterton. This book places the man in his time (1874-1936), and those years were not times when people, particularly the educated elites, were moving back toward religious orthodoxy. It also discusses his many books. Of course, one could buy the recent and pricey biography titled Chesterton and the Romance of Orthodoxy by Dr. William Oddie (and give it to me), but the Belmonte biography is a good starting place. 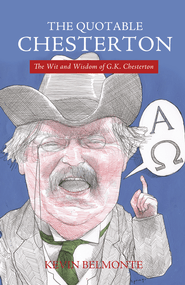 Another useful book is The Quotable G. K. Chesterton, selected and edited by Belmonte. This book contains some 870 quotations by a man who is quoted almost as much as Shakespeare and Twain. Books full of quotations are often quite fun. Books full of Chesterton quotations are always going to be fun. And then, how about a bit of Chesterton every day? Belmonte’s most recent contribution to Chesterton readers is A Year With G. K. Chesterton. This book consists of daily readings, 365 in fact, that begin with a Bible verse (which Chesterton did not write) followed by a selection or two from his books. Sometimes the daily readings are bits of poetry, sometimes Chesterton’s witty sayings, and sometimes longer descriptive passages from his many works. 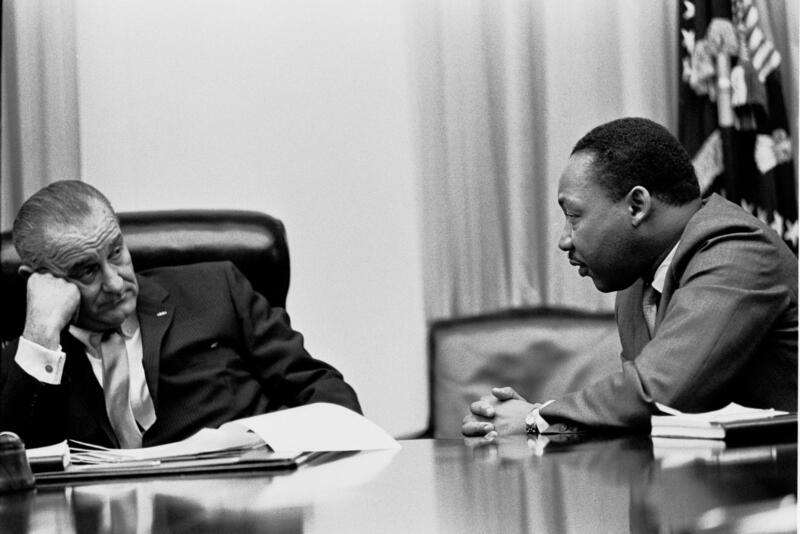 President Lyndon Johnson and Dr. Martin Luther King, Jr.
Today, January 21, 2013, is the Martin Luther King, Jr. birthday holiday. Many conservatives and some evangelical Christians and others have made strong cases in the past regarding Dr. King’s many flaws and failures. He apparently held some theological views that were quite suspect. In other words, he bought into theologies attached to the Higher Critical movement and other deviations from historic Christianity. There are great concerns about his moral life, compounded by the fact that his infidelities were cloaked by his being a minister. Some of his political associations were suspect. Aspects of his political agenda were wrong. He was a very flawed man. So was Columbus, whose arrival in the New World we celebrate. We remember veterans on November 11, the historic date for the ending of World War I. That war, not the men who fought and died, was wrong from beginning to end. Even Presidents Washington and Lincoln were flawed men. The case was made years ago that Dr. King’s birthday should not be a federal holiday. The case was made that the day was set aside for “political reasons.” Every thing that government does is for political reasons. And there is no changing it now. Perhaps the case could be made that many great Americans are not honored with holidays. True. The case can also be made that Labor Day is socialist in its origins. On this occasion, having noted objections to Dr. King’s life and passive acceptance of his birthday being celebrated by a holiday, I will say something in his favor. Dr. King addressed some real social ills and evils. I was born into the world that he was trying to change. I remember the “colored school,” the back doors to stores where blacks congregated, the separate waiting rooms at the doctor’s office, and the fear and anger that surfaced when any person of color “threatened” to move into a white neighborhood or go to a white church. I was never bothered by segregation as a kid; after all, I was white. And my parents, at ease with that same culture, were decent and fair to all people. They would not have socialized with colored folks, but they would never have treated them cruelly. But my acceptance of the status quo and the pleasant world I experienced did not correspond to the greater realities. In World War II, many African-Americans served in the U.S. military. When soldiers in training went to (southern) towns and tried to enter restaurants, they were denied access. German POWs who were put to work on American farms were allowed in those restaurants. That is wrong. The abuses, denials of rights, hardships, dangers, and cruelties to fellow citizens with dark skin were wrong. Along with many good relationships between the races, there were social problems that were horrendous. White southerners, sitting in pews in Baptist, Presbyterian, Methodist, and Pentecostal churches, should have been arm-in-arm with black southerners sitting in Baptist, Presbyterian, Methodist, and Pentecostal in carrying the Gospel mandates into the social order. Sound southern Christians who believed the Bible apparently assumed that while heaven would be open for all races and would also be segregated. Dr. King was incredibly gifted as an orator and writer. His “Letter from a Birmingham Jail” is a masterpiece of political rhetoric. His speaking style was quite familiar to all who know something of old-time preaching in the south, whether coming from a black or white preacher. Dr. King and other southern civil rights leaders wisely used economic boycotts and other methods to bring change. They hit business people hard in the pocketbooks. The changes were slow, painful, sometimes misguided, and limited. It can be argued that black athletes did more to change the culture than black civil rights leaders. Nevertheless, the movement was exactly that: The world changed, even if it changed slowly or inadequately. Bottom line was that something had to be done. King was a leader. His words live. His legacy is great, flaws and all. And all this brings me to another point. I miss the liberals and Democrats of the 1950s and early 1960s. Again, I know their flaws and intents. I know that ideas have consequences and we are reaping the consequences of wrongful ideas of the Left of the 1960s. (And we are reaping consequences of wrongful ideas of the Right of the 1960s.) But, at the Idea stage, the Ideas can be still be tweaked and altered and re-formed. Change the Idea a bit and you change the Consequences a lot. Dr. King was striving to see black kids in good schools and colleges, blacks able to buy and sell, and blacks able to vote. He wanted fairness, equality of opportunity, and decency in the way people are treated. 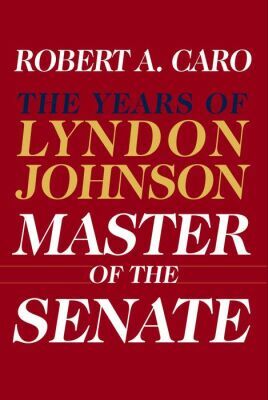 Lyndon Johnson’s years in the Senate: This may be the best political study I have ever read. The story of Lyndon Johnson’s miserable time as Vice President and successes after he became President. I was incredibly impressed with reading Robert Caro’s third and fourth volumes on Lyndon Johnson. The books are titled Master of the Senate and The Passage of Power. (This series, The Years of Lyndon Johnson, is now into its fourth volume and at least one more–and a lengthy one at that–is needed.) Johnson was incredibly flawed as a human being. He did, however, labor for some noble and rightful causes. Hubert Humphrey, a Senator and later a Vice President, was a man who gave his life-energies to the cause of civil rights. Even some of the men on the other side of these issues were men of great stature. Senator Harry Byrd, Jr. of Virginia was an old and powerful senator when Lyndon Johnson became President. The country faced a fiscal cliff then too. Here was the issue: Sen. Byrd would not allow a budge to get past him that exceeded $100 billion. He and Pres. Johnson met and they stuck to the $100 billion amount. Senator Richard Russell of Georgia was a truly great and gifted man. The defense of America was also the prime motivation in his heart. Senators Byrd and Russell, men of their times, were both dedicated to maintaining segregation. But the segregationists of that era were better men than the “humanitarians” of our time. There is no senator today who can compare with Byrd, Russell, Johnson, or Humphrey. We have much to bemoan about the lack of leadership in the Conservative movement and Republican party. But Liberalism has fallen too. On this day, I honor the past leaders, remembering their gifts and imperfections. We have a long ways to go in order to get back to where they were. 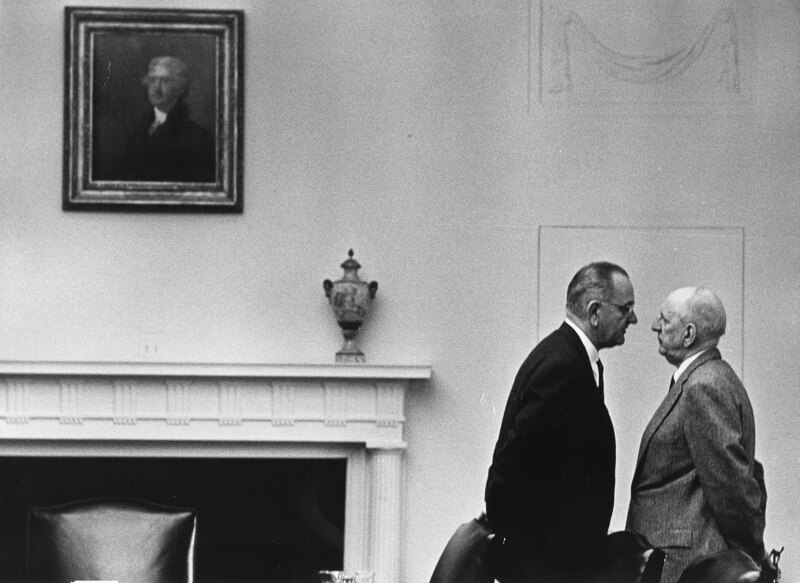 Contrary to the image in this picture, President Johnson actually looked up to Senator Richard Russell. This year’s Humanities class is the Medival World. I am terribly deficient in the area of Medieval history and literature. I have a list of some 40 or 50 books I have read in the field, but almost every book needs to be re-read and I have many more that I should read. The Medieval world is so rich and vast that it would take years of study to become even a worthy novice. Thankfully, being the teacher in the Humanities program gives me the opportunity every four years to make a few baby steps toward proficiency. I am a student along with my students. Perhaps I am primus inter pares, that is, first among equals, but I long to know more. Here are some books I am currently working on that are helpful. 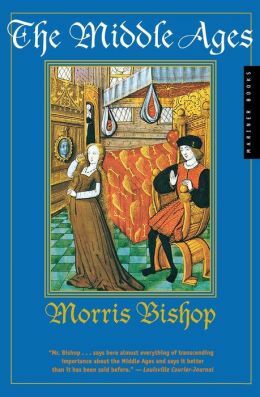 I discovered Morris Bishop’s The Middle Ages at the beginning of the school year. It is well written and engaging. We are using it as our ‘text’ in the class. 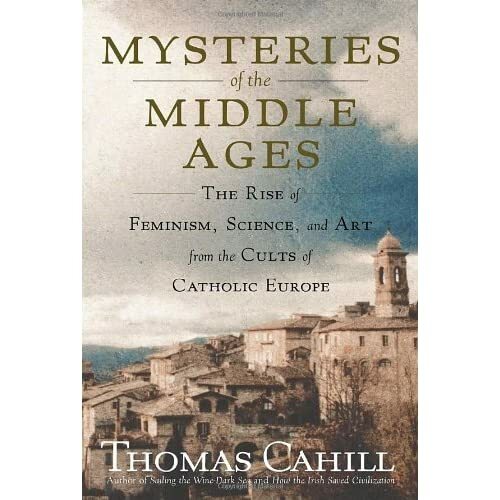 I recently began reading Thomas Cahill’s Mysteries of the Middle Ages. Cahill is always an engaging writer. His concept of “Hinges of History” is right on target. He veers between genius and quirky, sometimes in the same sentence. I received this book as a gift from one of my students, Liz Woll, for Christmas. Speaking of books for Christmas, my family gave me a copy of Foundations by Peter Ackroyd. I have read over the dust jacket and gazed at the book lovingly many times, but have yet to get started on it. This book is the first volume of a history of England, and England’s role in Medieval history is quite thrilling. Speaking of England, I am about half-way through reading The White Horse King: The Life of Alfred the Great by Ben Merkle. The man who united the various factions to create an English kingdom–Alfred the Great–a truly great Christian ruler. Just this week, we finished reading and discussing The Rule of St. Benedict. This set of rules for the Benedictine monks is filled with good spiritual exhortations. The monastic life was filled with Scripture and prayer. I think we all need some doses of the lifestyle. In fact, my Humanities class had a St. Benedict’s day today. Our chapel was devoted to Medieval devotions and we were not silent all day, but we were quiet. My students also prepared a meal for the junior high and teachers. Then we performed works of service by cleaning up parts of the campus. The work of monks during the Middle Ages cannot be overestimated. They preserved the books and culture time and time again. As the order of the Roman Empire fell into disorder, it was the monks who copied the manuscripts, evangelized the barbarians, took care of the sick and poor, and schooled the young. One of the best studies of the works of the monks is How the Irish Saved Civilization by Thomas Cahill. I have read and taught this book several times. It centers around the work of such heroes of the faith as St. Patrick and St. Columbanus. If I ever get to travel to Europe, I would love to go to the obscrure island of Iona where the Irish monks were located during some really rough times. They were a small outpost for a vibrant Christian faith. I hope we can be at least half as faithful as they were. This book is a great place to start on learning Medieval history. David McCullough is one of the best narrative historians alive today. I am finally getting started into his recent publication The Greater Journey: Americans in Paris.